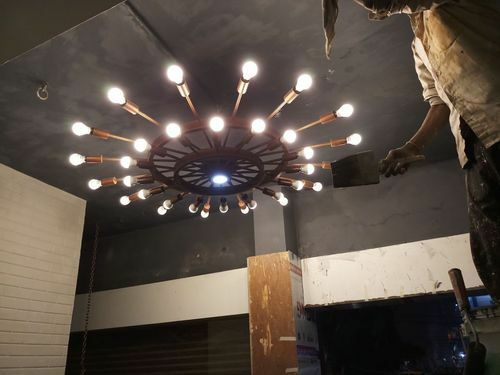 *We fabricate customized metal chandeliers and supply all around the world. Since our inception in the year 2013. Ozeca is a one-stop solution for all in-store and visual merchandising needs. By offering our clientele unmatched quality and robust products, we have become the most reliable name in this domain. We design + manufacture + deliver & install any where around the globe. We have developed a state-of-the-art infrastructure, which is sprawling over a large area. Our infrastructure comprises various units like manufacturing, quality assurance, research & development, marketing & sales, warehousing & packing, logistic and administrative. All the departments are equipped with latest facilities. We have installed all the requisite machinery in the manufacturing unit to fulfill bulk of orders within stipulated period of time. The quality assurance unit monitors the whole manufacturing process of the products. Our team of quality experts rigorously checks the whole production process, immediately from the sourcing of raw material till the last dispatch. Moreover, they keep themselves updated with most recent technology and modern market trends in order to build up ideal range of products. With their commitment and client support, we have been able to gain vast patron-base cross the nation. We bring together a diverse range of insightful thinkers making our business both rigorously analytical and highly creative. We specialize in providing a complete solution to every project we undertake. Our team of professionals work with each client to provide all of the support services required to see a project through from start to finish.